Completed in 1852, Albany’s Cathedral of the Immaculate Conception had undergone several interior campaigns since its construction. 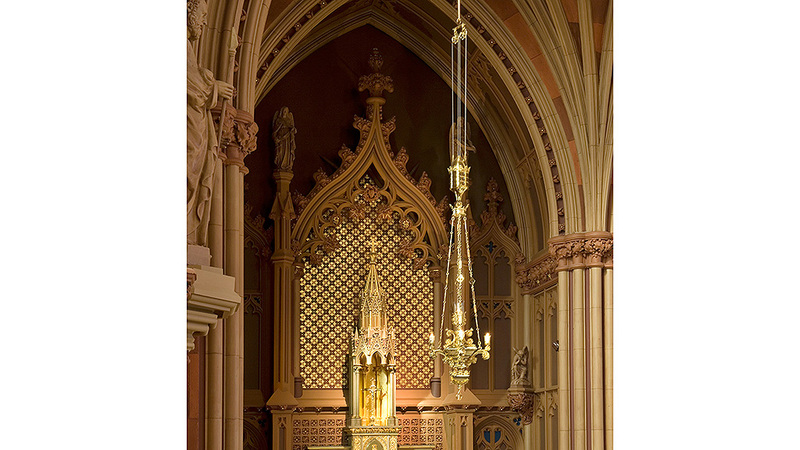 EverGreene was asked to perform an historic finishes investigation as part of the cathedral’s 20-year renewal plan, then was subsequently asked to execute the interior restoration of the decorative finishes and statuary. 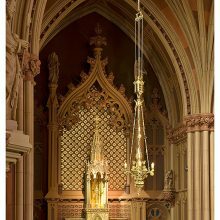 EverGreene’s scope of work included the restoration of the original decorative paint scheme, plaster repair of the existing ornament, and refinishing and glazing of the magnificent Cathedral’s statuary.